Can you drive around the Baltic? Would you want to? How long does it take? Does it require months of planning, and military-style execution? Part One: Life in the Single Lane, UK to Gulf of Finland. Polish drivers are soooo impatient! One tiny little mistake turning across lanes of traffic outside the SAS Radisson in Szczecin sets off a complete din of horns and shouting. Thankfully a kindly taxi driver makes a gap so we can escape onto the hotel forecourt. This is the end of day two, a trip which has already included a drive along the N90 beside the Meuse – a much nicer way to get to east Belgium than the crowded, fast motorways – a high speed run into Berlin on the quiet, wide and dead straight A2 from Magdeburg (and an easy detour through the centre for a photo of the Brandenburg gate through the windscreen, above), then a rumble along the last remaining stretch of original Hitlerbahn for ninety miles from Berlin. Lured here after reading the place was designed by Paris-architect Georges-Eugene Haussmann, Szczecin – aka Stettin – is terrifically disappointing to start with: grey suburbs of decayed Commie grot, miserable-looking people shuffling along broken pavements and a horrific city centre spaghetti junction. Have we lost our touch?! The hotel too is a monument to the 1980s in glitzy mirrored glass, directly opposite a ‘panel’ block of flats complete with ground floor KFC. Actually it only takes a short walk, down to the Oder, to see influence of The Master. On the waterfront is the enormous Sea Museum complete with ribbed, leaded roof and matching gate houses atop a magnificent sweeping staircase down to the water. Next door is the equally big, brick Gothic Voivodeship (regional council) Office. From there is a walking tour of the city’s architectural highlights, directions helpfully painted onto the kerb. These include a succession of churches with bizarre portcullis facades, wide, straight Paris-style boulevards but also simple, elegant buildings from the Communist era like the railway station (albeit it with a mosaic map mural). There’s a quiet dignity to Szczecin, industry and all, and it isn’t far below the scabby surface. Fabulous though it is in its details we can’t afford to get waylaid. Because we missed the once-a-week boat, what had been planned as a gentle pre-Easter week around Spain, Gibraltar and Portugal has turned into a circumnavigation of the Baltic. Consequently it hasn’t been planned in any detail, we’re just hoping for the best.. The major theme of the entire trip imposes itself from the off the next morning. 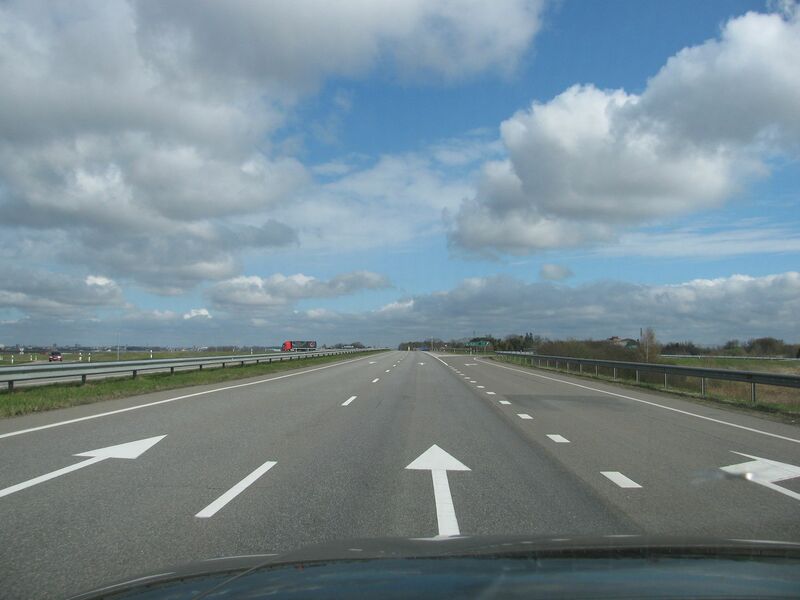 The fresh, smooth dual carriageway S10 east from Szczecin soon gives way to single-lane main road and it hardly lets up for the next 2,500 miles, right through all three Baltic States plus Finland, Sweden and even the UK. We (re)learn a few lessons in sustaining progress on narrow roads. As for the scenery, the word alpine keeps springing to mind. Right across northern Poland is almost continuous lakes, forests and rolling hills culminating in the official Polish lake district, ‘Pojezierze Mazurskie’. The problem is not traffic per se – though we and tens of others memorably spent 45 minutes behind a little black Toyota – more that the road goes through the centre of every town and village. It’s interesting to get a closer look at the ‘real’ Poland – every place has a, sometimes lovingly tended, speed camera – but we just can’t afford to spend another night here (though the castle Hotel Zamek looming over Ryn is a tempting option if we have to). Ultimately you just have to chill out and be thankful to make any progress at all. By late afternoon we’re closely shadowing the border of Kaliningrad, the Russian enclave, the traffic has thinned out to nothing, there’s a fresh lake around every corner, the sun’s out and it looks like we’re going to make it. 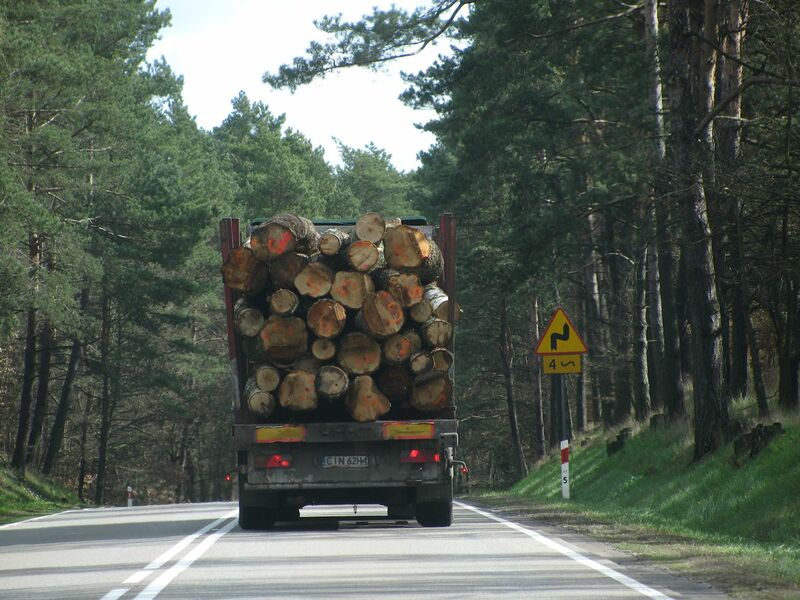 See more ‘Driving Across Poland’ here. By Kaunas we’re befuddled. Thank god it’s quiet in the city centre, dark and deserted. Having gained an hour over the Lithuanian border there’s no time to snuffle out a quirky, cheap hotel with great views. By chance we come close. The best room in the Park Inn/SAS Radisson – a massive ‘business suite’ on the eighth floor with a view of roof tops and the Church of St Michael the Archangel – costs £72. 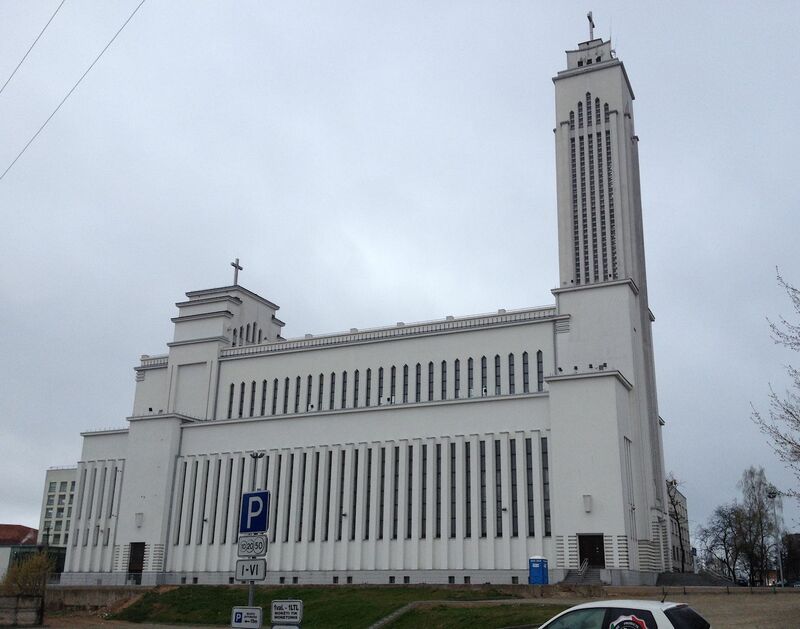 On a breakneck trip like this there’s no chance to linger but Kaunas clearly deserves a closer look, chiefly because of the monumental, stark white functionalist Christ’s Resurrection Church lit up on the hill to the north. We give ourselves one hour the next morning to at least set eyes on the major sights. Work started on Christ’s Resurrection in the early thirties though the Catholic Church didn’t take possession until well after Lithuanian independence, in 2004. In the meantime it was used as a storehouse by the Nazis and as a radio factory by the Communists. From 12:00, for a nominal fee, you can climb up to the roof for apparently the best view of the city. 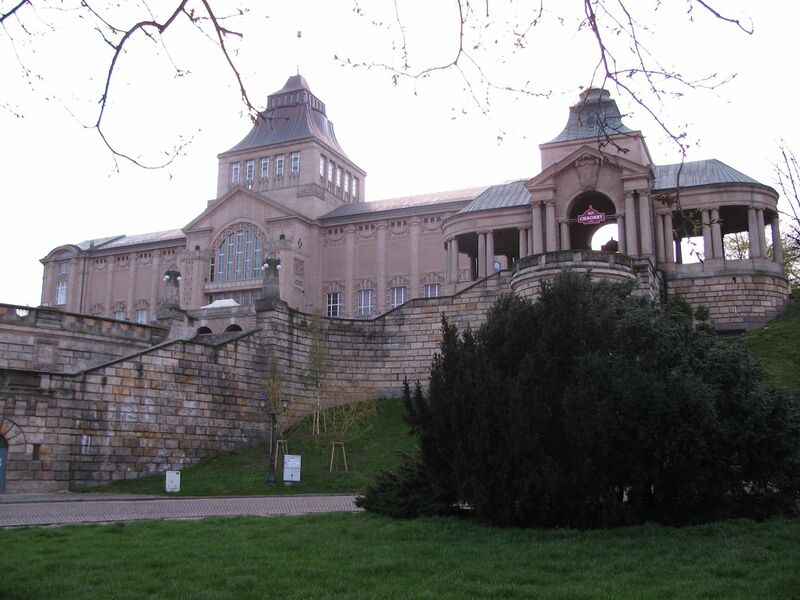 Also by Karolis Reisonas is the equally impressive Vytautas Great War Museum further down the hill. Between them is more 1930’s architecture than I’ve ever seen in one place – shops, offices, factories and houses – in various stages of repair/disrepair, all with a that Moominy Scandinavian ‘luxurious rigour’. The limited time means we miss the especially notorious former Jewish ghetto in the west of the city centre, but also the mediaeval old town, and the confluence of the Neris and Nemunas, the two massive rivers around which the city is built. If you haven’t been, Kaunas is a must see. Amazingly refreshed and rejuvenated it’s time to set off on the 350 mile Via Baltica, due north to Tallinn, the Estonian capital, via Riga, the Latvian capital. Very roughly, each country takes a third of that distance. The road is still (mainly) single lane but much wider than before, with a thick margin at the edges. By convention it seems, vehicles – truck, cars and horse drawn carriages – hook their nearside wheels over the white line when somebody wants to pass. Regularly there are three abreast at any one time, sometimes four. Quite a few of these countries claim to have the most dangerous roads in Europe. In truth they were all eclipsed last year by Romania on 92 deaths per million inhabitants (compared to the UK on 29). Poland dipped to 87, Lithuania to 85 and Estonia to an impressive 61. Latvia rose one point to 86. The thing they have in common is an undeveloped – single lane – road network. You can imagine a bust headlamp bulb having disastrous consequences at night. Quickly we learn there’s a dangerous similarity between the words go! and no! Also that rushing up behind every clump of traffic on a mission to overtake is the worst possible thing to do. Trucks are great but staring at the back of one the whole time ain’t my idea of a holiday. 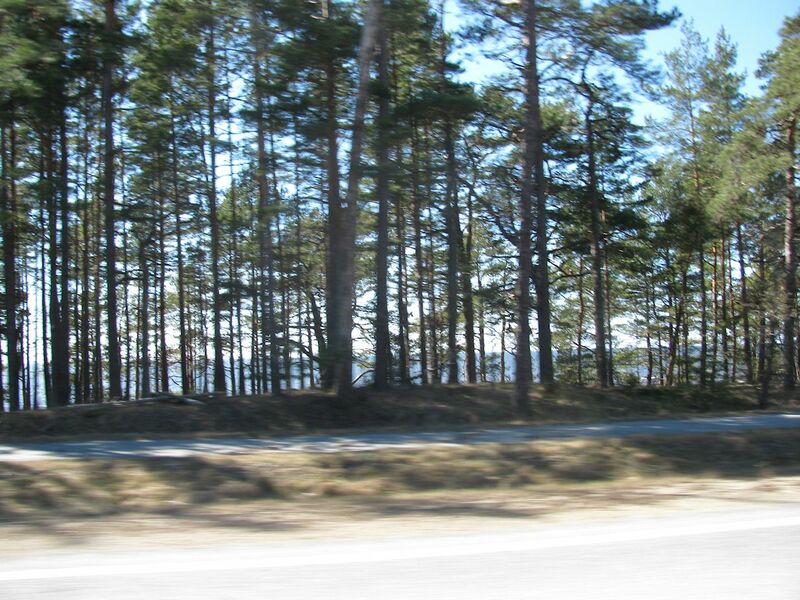 As far as we can see Lithuania is totally flat with few trees (33% is forest; it tops out at 965ft in the east). Along with that comes an epically big sky. Lithuania actually has two motorways, the 195 mile A1 from its major port Klaipeda in the west to Vilnius, the capital, near the Belarus border in the east. 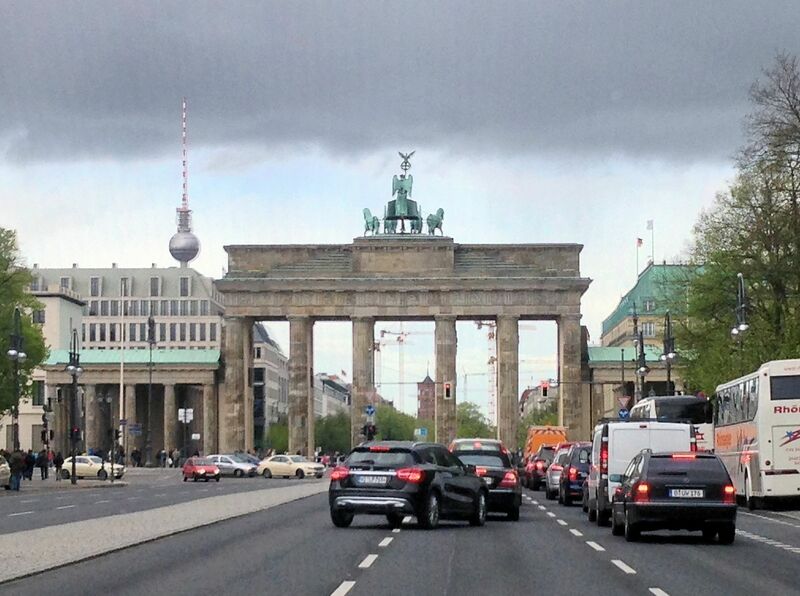 The A2 stretches 85 miles north west from Vilnius to Panevezys, the fifth biggest city and industrial centre. Via Baltica passes through Panevezys too, 60 miles from Kaunas. Slatted-wood houses line the road. The impression is of a wilderness Scandinavian or Alaskan township, not a city of 100,000 people, like it only comes into its own under a thick layer of snow. Latitude-wise we’re on a par with Newcastle in the UK but in winter it regularly reaches -20 degrees here. Further east in Lithuania, -45 degrees is not unknown. We’re on a tight timetable. In a few years, maybe, there’ll be a bridge/tunnel between Tallinn and Helsinki. For the time being there’s a ferry service which takes two hours. To give ourselves a chance to find somewhere decent to stay in Helsinki we need to make the six o’clock boat. Those with more time should check out the Curonian Spit, the sixty mile long thin strip of sand dunes south of Klaipeda, shared with Kaliningrad, a World Heritage Site, which cuts off the Curonian Lagoon. Fifteen miles north of Klaipeda is Palanga, summer-party central. Also, the Hill of a Thousand Crosses near Siauliai, fifty miles west of Panevezys, has been described as one of the world’s strangest monuments. Then there’s Vilnius itself with its medieval old town. No way are we going to miss Riga, the unofficial capital of the Baltics. 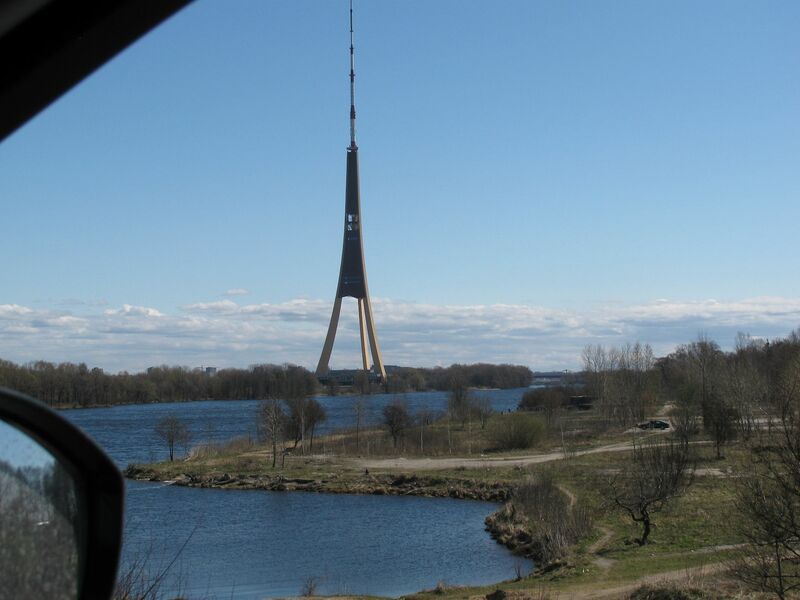 There’s a bypass but Via Baltica cuts through the east of the city centre, first on the super lumpy six lane Commie Salu Bridge over the Daugava, past the stupendous 1,209ft tripod Radio and TV tower. Naturally there are only fleeting glimpses of this terminally hip city – the streets lined with posters from the recent Pet Shop Boys concert and Kate Moss-alikes in fur chubbies, bed hair and handbags looped over forearms – principally the sinister stacked tower of the Stalin-era Academy of Sciences. Also, just open to the public, is the former KGB headquarters, complete with ‘shooting room’. Unlike the other former ‘eastern block’ countries like Slovakia, Poland, etc, the Baltics were Soviet Socialist Republics (SSRs), actually inside the USSR itself. That made leaving much more difficult – Russian troops eventually departed three years after independence in 1994. It also means that (apart from Lithuania) they have sizeable ethnic-Russian minorities: 29% in Latvia and 26% in Estonia, and much more, even majorities, in the major cities. Understandably it made them all very nervous when President Putin vowed recently to protect all Russian-speakers ‘wherever they live’. The original plan had been to stay the night in Jurmala, a beach resort just west of Riga with 21 miles of white quartz sand. It was a firm favourite of both Khrushchev and Brezhnev. We were hoping to bag a room in the concrete (but recently renovated) Baltic Beach Hotel. 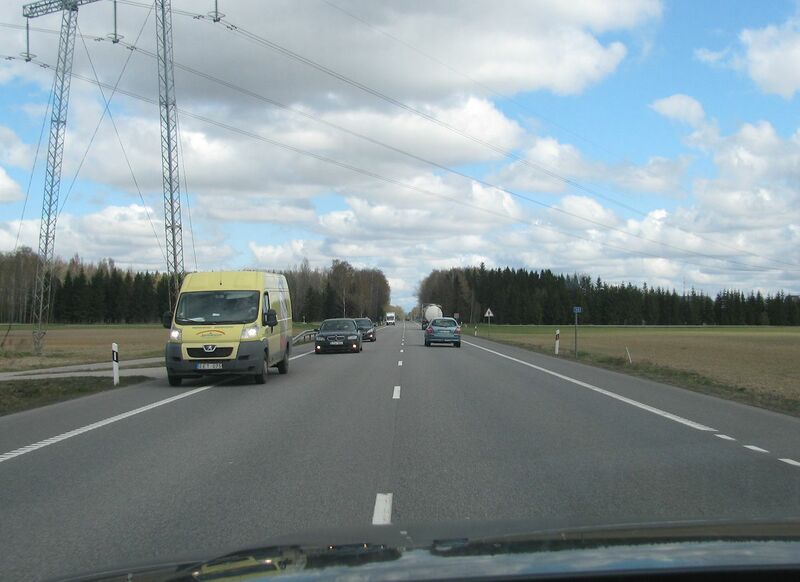 Instead we bump through the northern suburbs of Riga on hilariously rutted roads. North of Riga, Via Baltica runs right along the coast. At various times we can see the sea through a thin border of trees. At one point we stop for a wee and hear the waves lapping. Time is marginal but doable, we just need to keep it above 100kph. Towns and villages are very sparse on this last stretch which helps a lot. Incredibly, on 23 August 1989 – to mark the 50th anniversary of the Ribbentrop-Molotov Pact when the Baltics were taken under the Soviet ‘sphere of influence’ – two million people joined hands in a chain stretching 400 miles from Vilnius to Tallin via Riga (not actually following Via Baltica until this final approach to Tallinn). What I find almost as incredible is that I have no recollection of this happening at all. I was also ignorant of the fact that Estonia has the world’s most comprehensive network of electric vehicle fast chargers. For €30 a month you can charge up as much as you like, to 80% in 30 minutes, at any of the 160 chargers in every corner of the country. It’s all part of Estonia’s national plan to position itself at the cutting edge of technology. As well as a president who is very (inter)active on Twitter – @IlvesToomas – Estonian entrepreneurs also invented Skype and Kazaa and the whole country is a giant (free) wifi hotspot. They even vote online. If we didn’t see much of Riga then we see virtually nothing of Tallinn at all, despite driving right through the city centre, so focused are we on catching the boat. In the end, after stop start traffic, we make it with minutes to spare. There are two ferry terminals, one for Tallink in the east, the other for Viking Line, St Peter Line and Eckero Line in the west. After a few moments panic we brave the Viking Line check in booth. She shrugs her shoulders and flogs us a ticket. Less than five minutes after that we’re on board. It’s packed this random Wednesday in mid-April, possibly with Easter shoppers, and costs €97. Also see Driving across Finland and Driving down Sweden’s east coast.